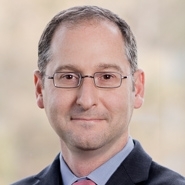 Marc Goldstein (Principal, Wellesley, MA) serves as the co-chair of the Hazardous and Solid Waste Committee of the Boston Bar Association (BBA) Environmental Law Section and helped organize the Committee's upcoming event, Recent Developments Under Superfund Law, taking place on February 16, 2017. During the program, representatives from the U.S. Environmental Protection Agency (EPA) will present an annual round-up of recent developments under the Comprehensive Environmental Response, Compensation and Liability Act (CERCLA), or the Superfund law. The presentation will include updates on EPA Region 1 enforcement and remedy decisions, national priorities, and developments in important cases. Mr. Goldstein is the Managing Principal of Beveridge & Diamond's Wellesley office. His practice focuses on helping clients resolve environmental and land use disputes and to develop residential, commercial, and industrial projects. For more information about the BBA event, please click here.